Good thing bar owner Michael Finan’s pa came from the Emerald Isle, because he knew just which carpentry folks to call on for a custom-built wood bar that evokes an authentic Irish pub feel. The space sports a deep red exterior, exposed brick, warm lighting, an open door and a friendly staff, so take a comfy booth and some curry chips with your Guinness. El stop: Brown to Montrose. Bus: 78, 81. Train info: Union Pacific N to Ravenswood. 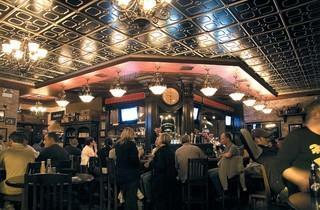 One of the best Irish pubs in all of Chicago. 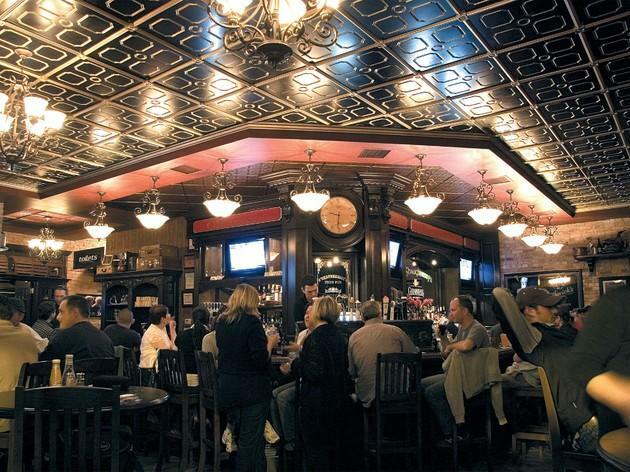 Owners are very friendly and welcoming, beer selection is fantastic, and the food is gourmet. I'd recommend to anyone, for just a beer, or a family dinner, private parties. Don't get me wrong, it's a great local watering hole. It's pretty spacious, has more than one bar, lots of tvs, outdoor space and food. All in all, I've never had a bad or memorable meal here and I've eaten here often so food is good, run of the mill bar food, I'd say. Beer selection is pretty decent. It's defiitely an A-OK bar.